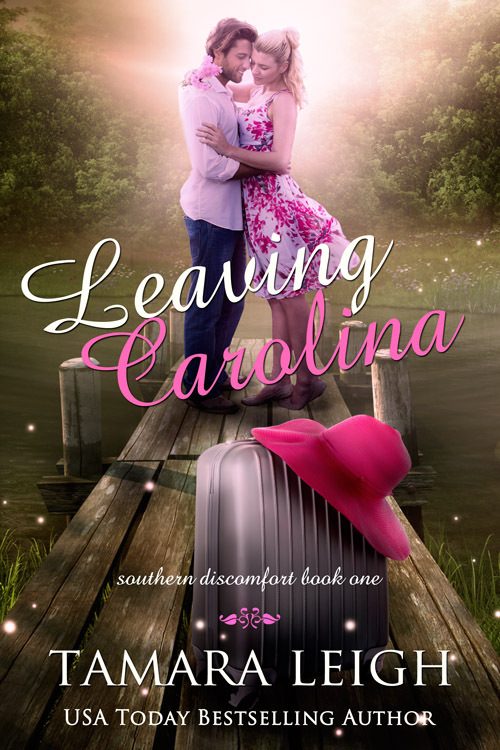 Now for another episode of Evolution of a Cover (different designer this time) for my contemporary inspirational romance re-release, LEAVING CAROLINA: Book One in the Southern Discomfort series. Available Thanksgiving 2015. 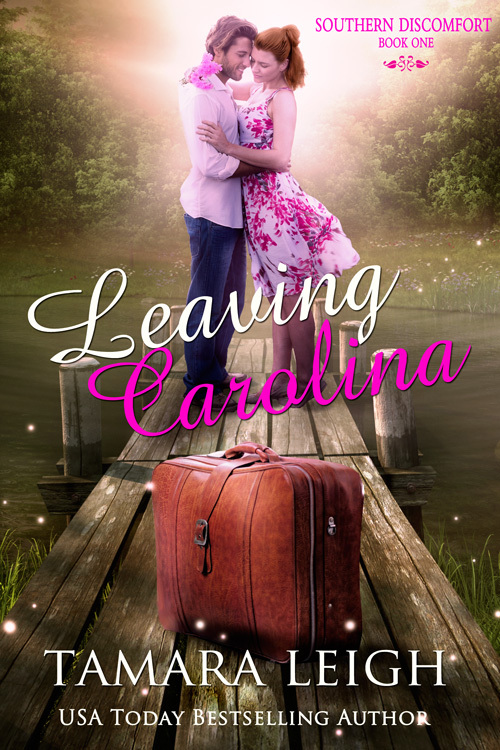 PART I: The Original Leaving Carolina ~ I adored the original cover of LEAVING CAROLINA, courtesy of my traditional publisher Waterbrook/Multnomah, but I thought a couple would better represent the romance, which is the focus of all my novels. 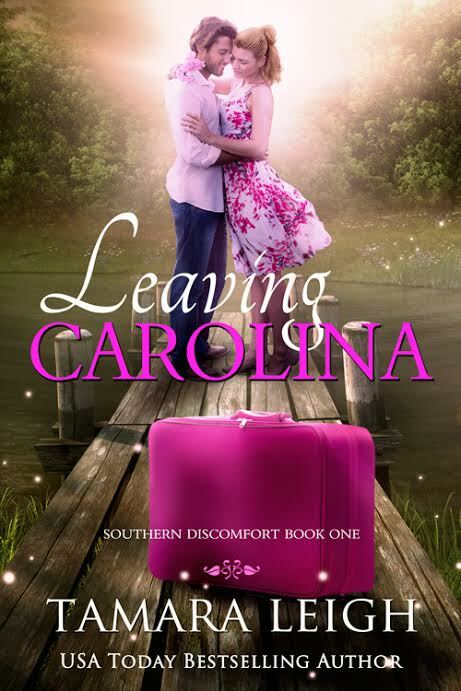 PART II: Revamping Carolina ~ My cover designer found this oh-so-romantic couple. That’s definitely my Axel, and that’s pretty close to Piper. As for background, it’s time to transport these two lovebirds to the South. PART III: Of Fireflies, Luggage, and Floppy Hats ~ Love the background, fireflies and all. The luggage is a great tie in, but not that particular model. And the hat… No, that isn’t Piper at all. Speaking of my feisty heroine, let’s give her red hair and shorten it a bit. Also, I’d like to see a different title font. PART IV: Going Redder, Shorter, and Not So Pink ~ Piper’s hair is close, but not close enough. It needs to be redder, and I’d like to see it shorter. Though this choice of luggage is better, the pink is too much for Piper. Let me see if I can find one that fits her better. Oh, nice title font, but I like the character and slant of the first better. PART V: Oh, no, no, no ~ I know it’s just a rough idea, but no on the hairstyle. Back to the original, please. Color-wise, that’s pretty close. And yes on the luggage. Unfortunately, the series title doesn’t work across the luggage. PART VI: So close ~ Piper’s hair looks lovely. The series title works in the upper corner, but it’s too large and the flourish is overdone. And the pink font…too bright. 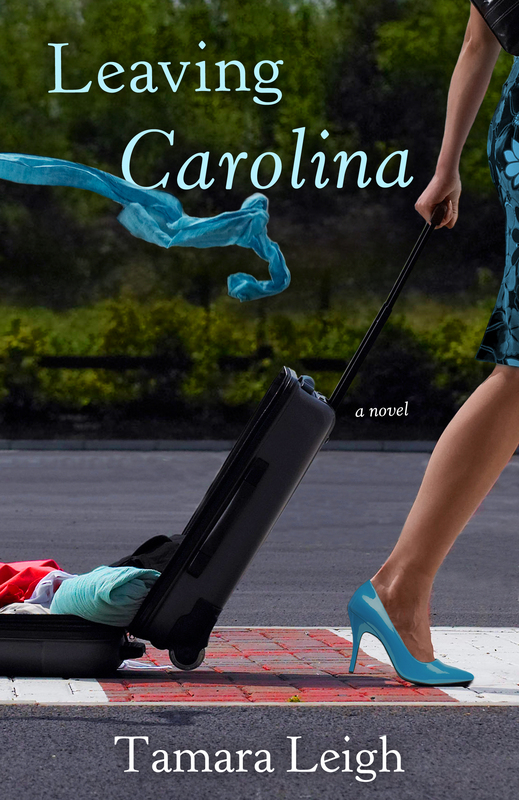 PART VII: The Grand Finale ~ And there we have it–a new look for Leaving Carolina. Trés romantique! 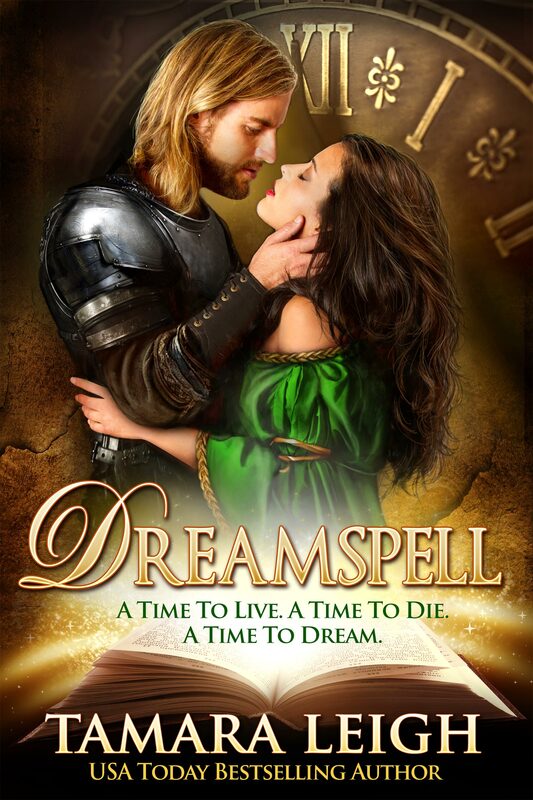 While updating my website, I discovered I hadn’t featured the cover evolution for DREAMSPELL: A Medieval Time Travel. Time (pun!) to remedy that. Thus, as further proof my cover designer is amazing, here’s the evolution. PART I: Finding Baron Fulke Wynland and Miss Kennedy Plain. Oh my, these two look about right. More than about right. So let’s start with the hero and those viking-ish duds–er, rather, lack of them. What do you think? A tunic? Armor? As for the background, since it’s a time travel, how about a clock? And there’s this book that’s something of a time portal. 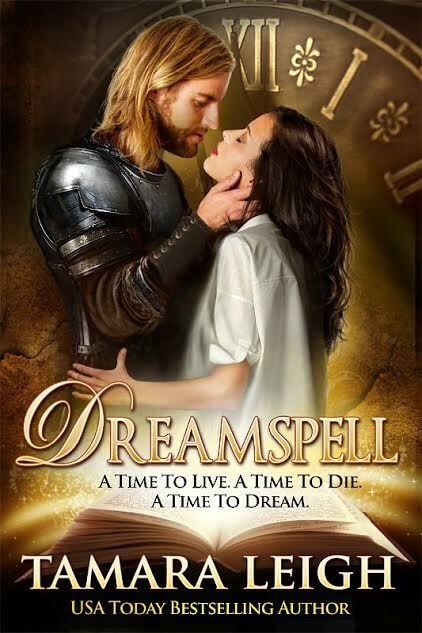 PART II: Of Backgrounds and Medieval Clothing ~ You flipped them around–I like it! And love, love the clock and the book. But as for the tunic–not doing it for me. That man has to have armor. And since Kennedy is from the future, how about we replace her medieval gown with 21st-century clothing? Regarding the tagline, it needs to be more visible. P/S: Could you lighten up Fulke’s hair and make him look less scruffy–just a bit? PART III: Armor Makes the Man ~ Yes, armor is where it’s at. Fulke heartily agrees. Unfortunately, Kennedy isn’t comfortable in a slip dress. How about a white button-up blouse? I love the addition to her hair and the tagline looks great. PART IV: Another Miss on Kennedy’s Clothing ~ No, not a blouse. Let’s go back to Kennedy’s original gown. She does, after all, spend quite a bit of time wearing one in Fulke’s presence. But rather than red, let’s try emerald green. Oh, and her hand on his waist… I prefer it higher as in the original. 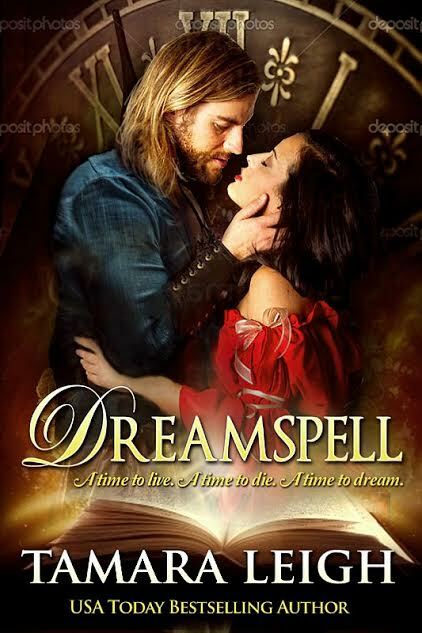 PART V: Dreamspell In All Its Glory ~ And there we have it. The green gown is perfect for Kennedy, and I like that the color is pulled into the tagline. 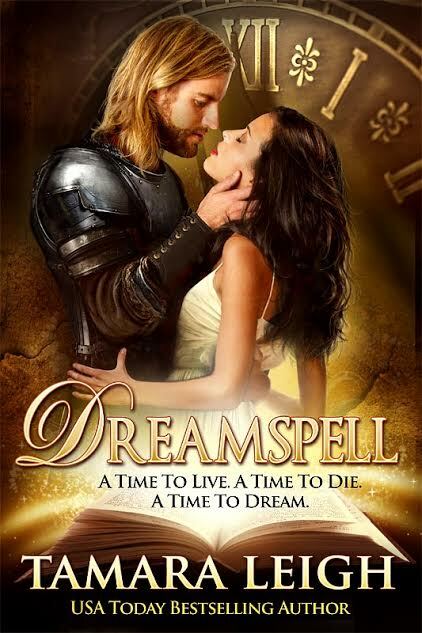 Yes, indeed, my cover designer is amazing.